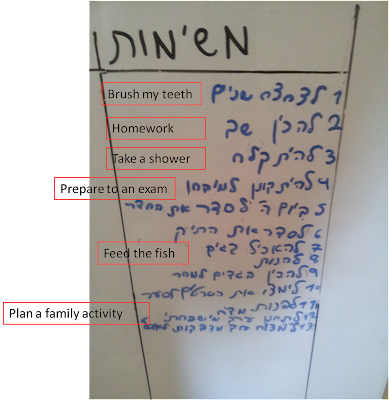 Your Family, Agile, and You: Self made Kanban board by a 10 years old boy. 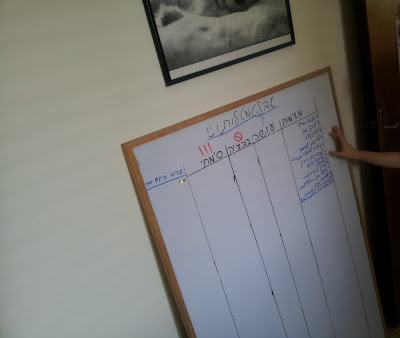 Self made Kanban board by a 10 years old boy. 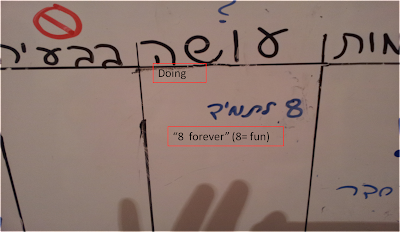 This 10 year old boy has been an agile@home practitioner for quite some time, and after a while, his family no longer needed the Kanban board. 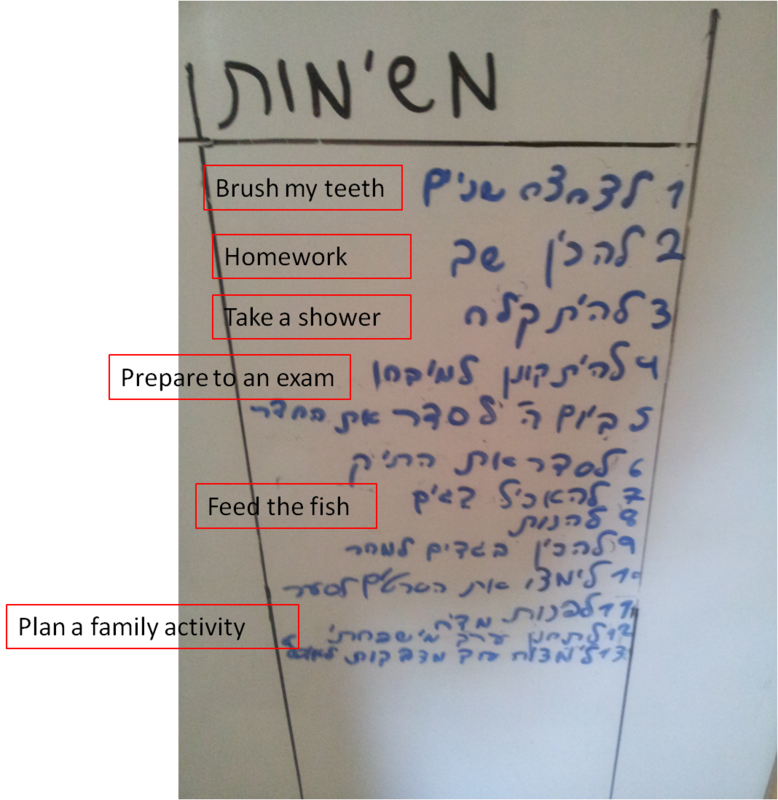 The communication flows and things are getting done around the house, and the boy is now used to thinking Agile. 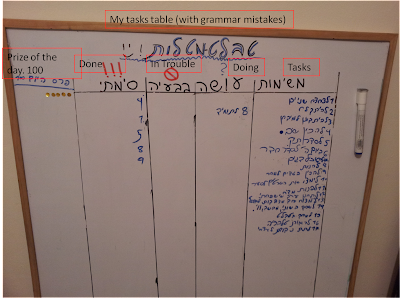 So if he feels it's necessary to create his own Kanban task board to control his tasks better, HE decides to do it, and HE creates it. 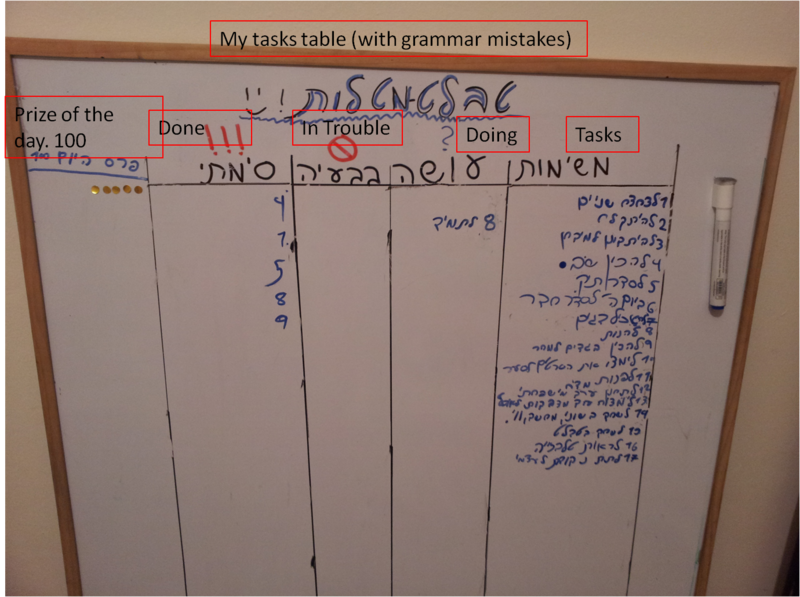 One, day, he decided he needed that in order to manage his tasks better, he needs to create a board again. It was getting close to the start of a new school year, and the sheer amount of school-related tasks, in addition to his daily chores, made him realize he needs to manage them better, at least for a short period of time. So he created a board. But the sticky notes kept falling off. And this 10 year old boy went off to look for a solution, all by himself. When he finished, he called me over, to show off his new creation. Instead of sticky notes, he wrote down a list of chores. The numbers on the list represented the tasks number which is written in the appropriate column of performance. Well done for coming up with an innovative solution. Well done for solving your own difficulties and thinking how to get things done in the best way for your needs. Well done for building your own unique creative board. It's YOUR board. As long as you understand it, that's all that matters. 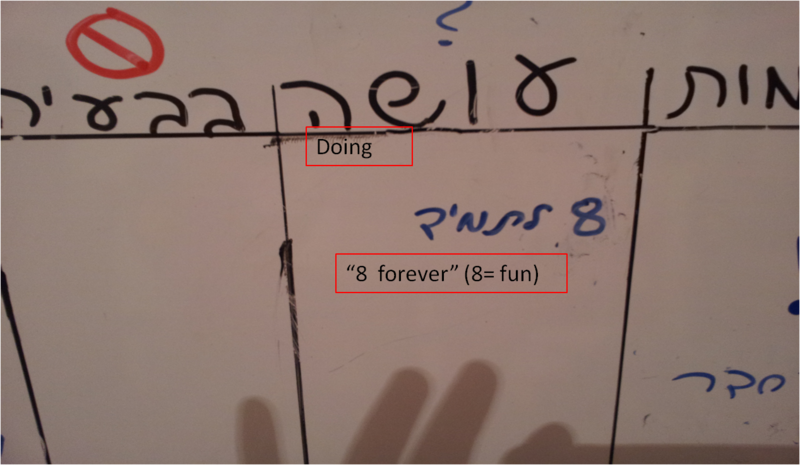 And having 'Fun' as a task is a really healthy approach to life. 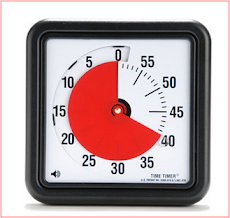 Do it yourself daily scrum meeting.